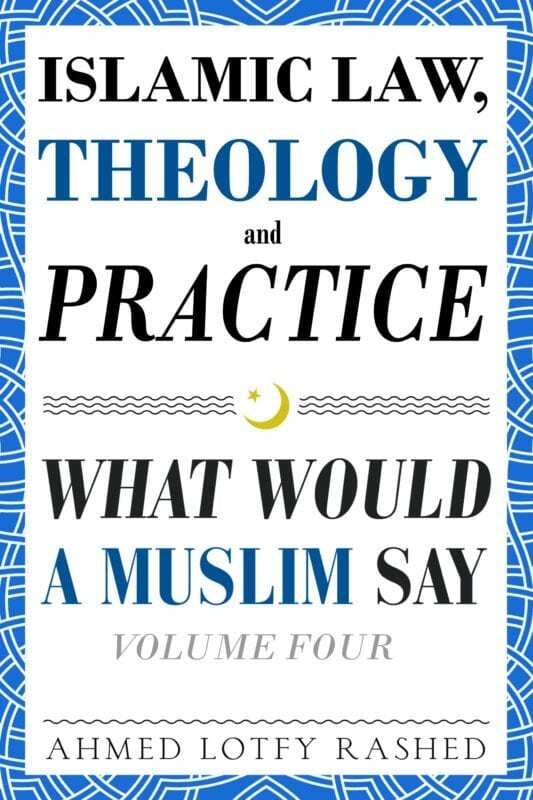 Islamic Law, Theology and Practice: What Would a Muslim Say – Volume 4 | What Would A Muslim Say? How does Islamic theology inform a Muslim's practice? What do modern Muslims say about post-Modern issues? 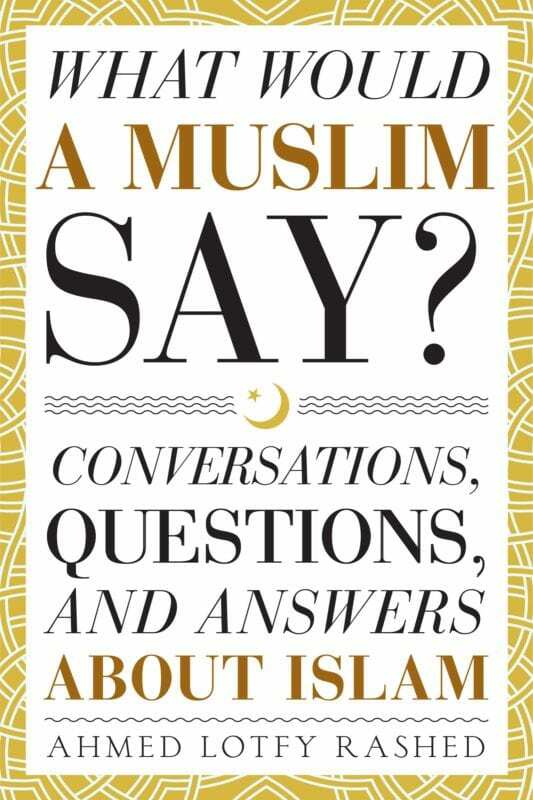 This book features actual transcripts of deep conversations on Islamic history, Islamic law and practice, and Islamic theology and philosophy. Here are the initial email questions to pique your interest! I have a few questions around the verses in the Qur’an, and I hope you will be able to explain the rationale behind them. Why is it claimed that Islam is the only true religion and that all other religions are false? If that is the case, how come Allah allows there to be more non-Muslims (Christians + Hindus + Buddhists + Atheists etc) than Muslims in today’s world. “There is no compulsion in religion.” this is an oft quoted verse from the Qur’an to convince people of the tolerance in Islam to other religions. If this is true, why does Allah eternally torture and punish non-Muslims? If Islam stands for peace and co-existence with other religions, how can one justify prophet Muhammad’s destroying of idols in the Kaaba? How is that different from the recent taliban bombing of the bamiyan Buddha statues in Afghanistan? I teach religious studies, so I am familiar with Islam and especially its history. What I am curious about is new thinking in Islam. The biggest problem for any belief in Allah or God is the Problem of Evil. If we praise God for creation then why do we not condemn God for causing so much suffering? If God is good then why is there so much suffering? The modern world does not sustain the old defenses from the past, we know too much about how the world comes into being to believe old myths and we know that we do not need a God for a moral universe. In fact God only makes the universe less moral because if we think of God as in control of creation then God is the author of all this suffering. It makes no moral sense to worship a being that causes this amount of unjustified suffering. Some will say the issue is the word “unjustified.” How could we know what is justified from God’s perspective? Fair enough, but that means that God is inexplicable and monstrous, because at any time incomprehensible suffering could be imposed on me with no reasonable explanation, from my point of view. On that account God is random and malicious, not actually God. To claim that believing in God is good in this context is a moral absurdity, it is tantamount to worshiping chaos and misery. Some will say the suffering is a consequence of decisions. But that does not explain the suffering caused by nature or in nature. It also fails utterly and completely once we notice that there is no good reason to believe that human beings actually make free decisions. Everything we know from science suggests Free Will is a useful illusion, so hardly a defense of a God who causes suffering. What does Islam, what do modern Muslims say about these issues? Thank you for the information provided. I have several questions that I hope you will be able to answer. In some places within the Qur’an, it is stated that righteous Jews, Christians, Sabeans, and Muslims will see Paradise. Yet another place contradicts this, stating that only those who believe in the final revelation, i.e. Islam, will be saved. Is there an official position on this? How does Islam explain the crucifixion of Jesus? I have read several different answers to this question, which is why I pose it here. I have heard some say that it never happened to begin with; others say that someone resembling Jesus was crucified; some claim that he was crucified, did not die, but rather fainted; others still suggest that the crucifixion witnessed by the Jews who had him sentenced to death was a mass hallucination, and did not really happen at all. Some have told me that listening to music (other than nasheeds) is haram. Is this true? Obviously this would be the case for songs containing crude, profane, or suggestive or offensive lyrics, but what of those with completely innocent lyrics, or songs that are instrumental only? Do the references to jihad in the Qur’an only refer to spiritual warfare or literal but self-defensive warfare? There are passages alluding to ambushing polytheists (please correct me if I’m wrong), which is not indicative of self-defense. What is the Islamic position on abortion? Or do views tend to differ in this area? Does the Qur’an really condone a man striking his wife in Surah 4:34? I find it difficult to reconcile this concept with what I have been told a woman’s position is within Islam. My understanding is that women, especially mothers, are elevated to a higher status. This does not seem to be in harmony with this particular verse. I have read that the Qur’an permits men to sleep with female captives of war as well as slaves. I am beginning to read Qur’an in English, but I am by no means an expert, so please correct me if I am wrong on this. I have heard Islam referred to as the ‘religion of peace’ by Muslims. I understand that Islam’s teachings, as well as much of the Qur’an, promotes peace, social justice, etc.—yet Islam was spread through wars, occupations, conquests of nations and kingdoms, etc. I don’t understand how it can be claimed that it is peaceful, when it was spread through such violent means. I have read that apostasy in Islam is punishable by death in some Muslim-majority countries, despite the Qur’anic verse, Let there be no compulsion in religion. Truth stands out clear from error. Surely there are no verses or hadiths condoning this? I was raised as a devout nondenominational Christian by a Church of Christ father and grandmother and a lapsed Roman Catholic mother. Religion has always played a very important role in my life, as has God and truth. Several years ago, I began studying my own religion as well as others closely—I am fascinated by religion, culture, and religious history. As someone who has studied the Bible as well as various Christian doctrines, I found inconsistencies in doctrine, tradition, and within the Bible itself. About a year ago, during a very dark time in my life (and what is sometimes called a night of faith), when I was doubting Christianity more than ever but did not refute that there is a God, several of my friends who are Muslims began gently urging me to consider Islam. They taught me about the religion and suggested I read the Qur’an. Now, until they began to teach me about their beliefs, I knew only what has been propagated in the media: news stories and articles about the abhorrent actions of extremists. It was only when they shared their beliefs with me that I was able to see differently. After much studying, prayer, discussion, learning, etc., I am in a place where I will accept Islam if I can find answers to my questions, which I have related above. Thank you for any answers as well as for your time. I appreciate it very much.